Remember all of the year-2000 nervousness in the latter part of 1999? That was nothing. As the year 1000 approached, people all over the Christian world were convinced that the Apocalypse--as depicted in the biblical Book of Revelation--and the end of the world were at hand. In one of the more interesting musical program ideas to be inspired by the turn of the calendrical odometer, Anonymous 4 revisits the original "millennium madness" with a disc of chant from around the year 1000--specifically, a Mass for the Feast of the Ascension, one of the few occasions on which the liturgy included readings from the Book of Revelation. This is the oldest written Western music to have survived, and it's difficult even to decipher (the original notation has no staff lines or clear indications of rhythm), let alone perform. Yet, the challenges involved seem to have done these ladies good: not only is their performance both assured and confident, but one can hear new facets in their vocal sound--a sound that, however beautiful it might be, some listeners find monotonous. (One new facet is Jacqueline Horner, the quartet's newest member, for whom this is the first recording.) The singers experiment with interpretation of ornaments that are indicated in the manuscript sources (there's a fascinating little trill that sounds rather like a cooing dove); in some of the chants, they add an additional line in accordance with the principles of improvising polyphony that were laid out in 10th- and 11th-century treatises. The entire program seems thoroughly considered, as well as immaculately executed. If you count on the consistently pure, silky tone and meditative quality that has made Anonymous 4 world-famous, you'll definitely find it here; if you've gotten bored with them, you might find this disc a fascinating surprise. This is a pre-Renaissance British mass not to miss. Both commercially and artistically, Anonymous 4 have advanced the early music cause and their own considerable genius a great deal with A Lammas Ladymass. Expert at webbing disparate works into a themed set, Anonymous 4 here create a long paean to harvests, fertility, and the richness of creation--whether in regard to crops or community. Their tactical decision to not try re-creating any single event end-to-end on CD leaves them room to find the ideal musical sources for their polyphonic layers, which here create rivers of voices. Spiritually moving and vocally revelatory, this program recreates a kind of mass sung in English churches during the 13th and 14th centuries. With their warm tone and perfect intonation, these four singers achieve an expressiveness that is rare among chant interpreters, most effective in the seductive, highly ornamented "Kyrie." The sound is exemplary--although a studio recording, it perfectly conveys the atmosphere of an English cathedral. Although Hildegard von Bingen's music has been around for 900 years--and recordings of her music for decades--it seems that only now, as we approach the turn of another millennium, the time is right for the world to pay attention. In this first-rate traversal of her music--the most popular of several volumes released by the early-music ensemble Sequentia--we hear music that resulted from Hildegard's legendary visions, which often included song texts that she subsequently collected and dispensed to her religious community of women. As rendered here by the voices and instruments of Sequentia, her music invokes an unobscured sense of mystery, conforming to Hildegard's belief that music was our bridge to the harmonies of the heavens. Whether or not we're experiencing that "heavenly harmony" here, the simple, direct, beautifully turned melodies, sung by pure, finely tuned, warm-colored women's voices, often eerily accompanied by an instrumental drone, is heavenly enough. Organists have used chants as basis for their compositions and improvisations for centuries. 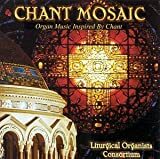 The Liturgical Organists Consortium, in their continued effort to promote the liturgical use of the organ, has recorded some of the most noteworthy of this body of work. Included are compositions by noted composers, including Jean Langlais and Flor Peeters, as well as newly composed compositions by Consortium artists. Here's a set that for many collectors will slam the monk's gate on further chant acquisitions. In other words, this could be as close to a definitive compilation as there ever will be. What's more, it's beautifully packaged, intelligently programmed, and authentically performed--by real monastic, cathedral, and abbey choirs in authentic locations in France. The three discs were compiled from the catalog of Studio SM, a French label that has specialized in recording chant for more than 40 years. Although there is some variance in sound quality and in the performing styles of the different choirs, the overall production values are impressive. Solemn and uplifting moments mingle with the charming: during one of the selections, we hear both the bells and birds of Tarnie Abbey. The 23 works--plainchants, carols, songs, and motets--invoke various aspects of the Christmas story: the visitation of the angel Gabriel, tributes to the Virgin Mary, gifts of the Magi, and hymns of praise for the birth of Christ. The sound is stunning: resonant yet intimate, warm yet vibrant. And while you can hear the individual character of each voice, together these four women make a sound of uncommon purity and beauty. 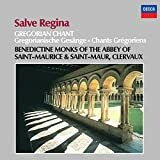 In 1995, on the occasion of the 400th anniversary of Palestrina's death, Gimell issued this mid-price collection of four excellent Tallis Scholars recordings of music by their "patron saint" composer (the choir's name notwithstanding). The contents of the set include the Masses Benedicta es, Nigra sum, Nasce la gioja mia, Assumpta est Maria, Sicut lilium, the Missa Brevis, and the legendary "Pope Marcellus" Mass.